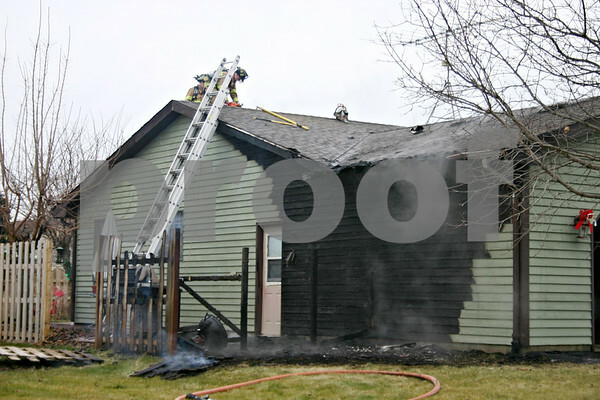 Sycamore firefighters work to vent the roof of a house in the 1400 block of Larson Street Friday. The south exterior of the house caught fire before 2 p.m. Friday. No one was injured.